In an effort to combat piracy, Microsoft has banned up to a million Xbox Live users whose Xbox 360 consoles have been modified to allow them to play pirated games. Ouch - as part of its annual November piracy sweep, the Redmond-based software giant announced that it had banned "a small percentage" of Xbox Live users worldwide from playing online. 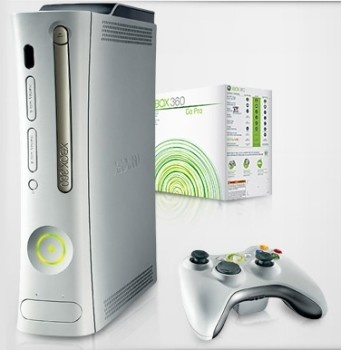 As with previous sweeps, the banhammer was targeted at Xbox 360 owners who had physically modified their consoles to be able to play illegally obtained copies of games - though as noted in the Guardian's report, modded consoles are also used to play homebrew applications and imported titles that would otherwise be unplayable. The exact number of consoles affected by the sweep has been estimated at anywhere from 600,000 up to one million. While a million is still a pretty darn big number, considering that there are ~20 million Xbox Live users in the world, we're still dealing with less than 5% of the total - which would fit with Microsoft's claim that it had banned "a small percentage" of the total userbase. According to Microsoft, the annual sweep detects consoles that have had the hardware modded to play pirated games, and adds them to a list which is then fed to Mr. Permaban. While the Xbox Live ban doesn't prevent the console from functioning normally offline, it does mean that if gamers want to play online multiplayer, they'll have to get a new Xbox Live account - and more importantly, a new Xbox 360. It's unclear exactly how Microsoft detects whether a console has been modded or not (since it isn't like they're physically coming into your home to check), and the company is unlikely to reveal specific details anytime soon, lest clever modders figure out how to fool the system. That isn't to say that nobody thinks they can dodge the long arm of the not-quite-law - some modders claim to be able to turn off the chips in order to avoid detection, viewing a no-pirated-game-November as preferable to getting banned from the service for good. While virtually all hardware modification of consoles is illegal in the United States and Europe, that hasn't stopped it from becoming a fairly large business. But remember - as this mass banning shows, mod at your own risk.